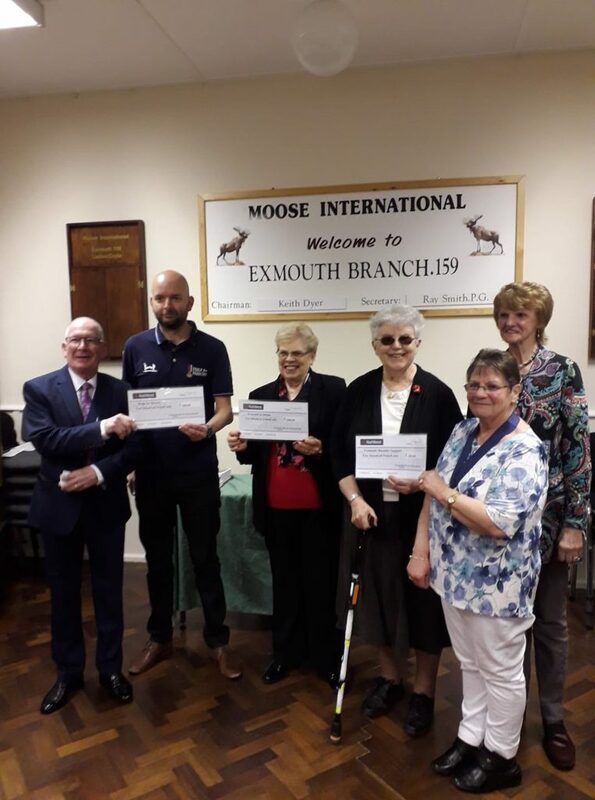 We are extremely grateful to Exmouth Moose, who at a recent presentation evening gave donations to several local charities and voluntary groups. 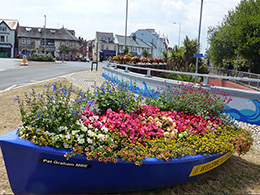 Pictured below are Keith Dyer and Beryl Ralph who handed cheques for £200 each to Help the Heroes, The Macular Degeneration Group and Exmouth in Bloom. In thanking the Moose for this generous contribution, Gerry Bassett, third from left, also gave a short talk highlighting the extensive work that we do in the town. « Full payment for litter picking!